Give Dim The Lights a listen - it's a new offering from Dwele, featuring Raheem Devaughn. It was dropped on Thursday, June 24th, 2010. Listen to Hollywood (Remix), the new track by Phil Ade featuring Raekwon, Wale, Tabi Bonney & Raheem Devaughn which was dropped on Thursday, May 13th, 2010. Give I'm Ill (Remix) a spin - it's the latest release from Raheem DeVaughn, having dropped on Saturday, April 10th, 2010. Listen to All The Way Turned Up (Remix), a new offering from Raheem DeVaughn, which was released on Saturday, April 10th, 2010. 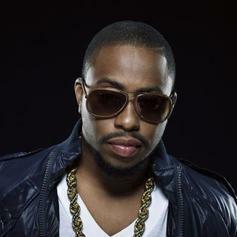 Check out Customer (Remix), the latest from Raheem DeVaughn which features a guest appearance from Trey Songz on the. The track was released on Thursday, March 25th, 2010. Listen to The Greatness, the new track by Raheem DeVaughn featuring Wale which was dropped on Thursday, February 25th, 2010. Listen to Microphone, a new offering from Raheem DeVaughn, which was released on Tuesday, February 9th, 2010.